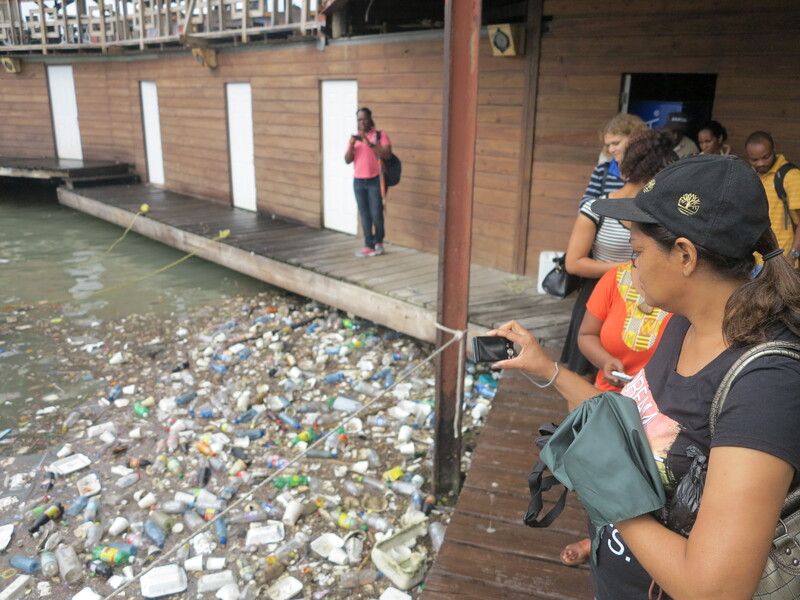 Nuh Dutty Up Jamaica is the public education campaign component of the Clean Coasts Project (CCP). 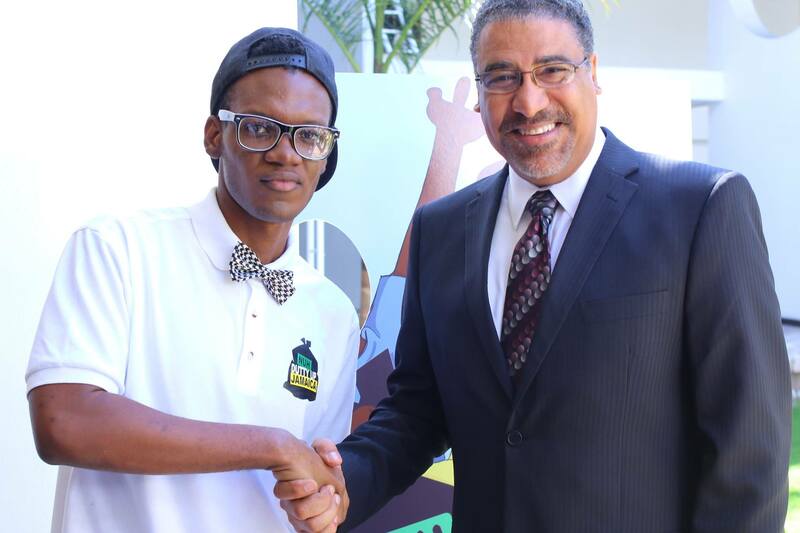 Launch of the Nuh Dutty Up Jamaica campaign in February 2015 which has continued to gain support and momentum through social media and traditional media outlets. Partnerships established through the campaign with the Sandals Foundation, Dream Entertainment, Island Grill, Bacchanal Jamaica, Grace Kennedy Foundation, Japan International Cooperation Agency, the CB Group, National Bakery and several other corporate and non-corporate organisations. An external evaluation of the campaign done in its early stages indicated that our message was being effectively communicated to our target audience. Read the full evaluation here. Over 580 students from secondary schools in Ocho Rios, Montego Bay and Negril benefited from marine conservation themed field trips. Eight underwater sites in Ocho Rios, Monetgo Bay and Negril received 16 cleanups between October 2014 and April 2015. Partnerships have been established with local groups in each area to continue this work. Check out a summary of findings of these underwater cleanups here. A Debris Containment Boom to collect garbage at the mouth of the South Gully in Montego Bay was designed and deployed in mid May 2015. The boom consists of a floating net placed at the mouths of the waterway to trap floating waste, preventing its release to the sea and other beaches. This first boom is a pilot to test the approach. It is regularly cleared by the Montego Bay Marine Park, CCP’s local partner. Delivery of new Nuh Dutty Up Jamaica campaign products for social and traditional media including the ‘Whe Garbage a Go?’ PSA series featuring ambassadors Dutty Berry and Bella Blair, who were joined by Prince Pine and Elli the Viner. International Coastal Cleanup Day national coordination by JET was included under the Clean Coasts project umbrella. Held on September 19, 2015: 121 sites cleaned up by 7,985 volunteers. Nuh Dutty Up Jamaica Link & Think seminars in March 2016, targeted at tourism and entertainment interests and other relevant stakeholders to promote the campaign and foster partnerships. Qualitative research conducted by JET examining the factors contributing to the South Gully in Montego Bay being used as a garbage disposal site. Report on the main research findings produced and shared on July 27th, 2016 in Montego Bay at a stakeholder meeting and media launch and tour of the South Gully. Ten underwater cleanups carried out at five sites in three resort areas along the North Coast. 14 field trips conducted in Negril, Montego Bay, Black River, Ocho Rios and Kingston, attended by 802 students and 33 teachers from 10 schools. Nuh Dutty Up Montego Bay campaign targeted at improving garbage management in that resort area. The Nuh Dutty Up Jamaica Cleanup Network and a schedule of community cleanups across Jamaica in 2017. View the report here.